We only work with organisations which hold the same high standards and ethics as us. Interhearing work with a number of organisations and charities which complement our services and gives additional support. Provides safe, friendly and affordable counselling and wellbeing support for the people of Shropshire with hearing loss or tinnitus. 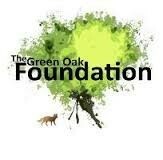 They are a non for profit organisation which is partly funded by donations. Because of this they are able to see people quickly. They are located in Shrewsbury town centre. They are charity offering information and signposting and also stock a range of equipment that you can try out before you buy. They are right in the heart of the Shrewsbury town centre, accessible for wheelchair users, there’s a café, a disabled toilet and catering facilities all on site. Shropshire Rural Communities Charity (RCC) is an independent charity established over 50 years ago to benefit people in Shropshire, Telford & Wrekin. We are one of 38 Rural Community Councils operating throughout England funded by the Government, Local Authorities, Charitable Trusts, public donations and membership subscriptions. We aim to improve quality of life and to strengthen communities in the county. Our organisation has a strong local track record with funders for delivering a wide range of quality services and projects to local people. We are supported in our delivery through strong links and partnerships with the private sector and local businesses. Hearing Loss Support volunteers provide information, advice and practical support to all hearing aid users in Shropshire, Telford and Wrekin. Our volunteers are trained by NHS Audiology Service and as most of them are hearing aid wearers themselves they know from personal experience about adjusting to a hearing impairment. Shropshire Council’s Sensory Impairment Team offer free and expert Sensory Impairment assessments to residents of Shropshire. Social Services can provide advice and demonstration of equipment such as amplifying telephones, vibrating alarm clocks, baby alarms, doorbells and loop systems to help with the television. In The Hub the WEA provide excellent lip reading courses offering a great way to help people with hearing loss maintain communication with friends and family. The courses are completely free of charge. The courses last 10 weeks with each session lasts 2 hours . There are approximately 14-16 people in each session. The tutors are high qualified and experienced. The course aims to: Improve and develop your lip-reading skills, help you find ways to cope with difficult listening situations, such as meetings, restaurants, groups conversations. Iinform you about equipment, DVDs, organisations, books & other support services which are available to help you with your hearing difficulties. VISS began life in 1994 as part of Shropshire Disability Consortium. In 2004 the Consortium dissolved and VISS was then set up as independent not-for-profit company continuing to deliver high quality and professional communication services throughout the county, and sometimes further a field. 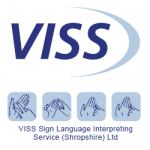 VISS has now been providing BSL interpreters (Language Service Professionals) in Shropshire for almost fifteen years and employs two Members of the Register of Sign Language Interpreters, a fulltime bookings coordinator and runs an active user group. The primary purpose of these groups is mutual support. Members swap ideas and encourage each other, discussing their problems and worries in a supportive environment. If you want to work but have a hearing loss which makes working a problem you may be able to get help from the Access to Work scheme. This provides practical advice and support to help you overcome work-related obstacles. It can also give you grants towards extra employment costs, equipment and support.